We would like to wish all of our customers and friends a Happy and prosperous New Year! 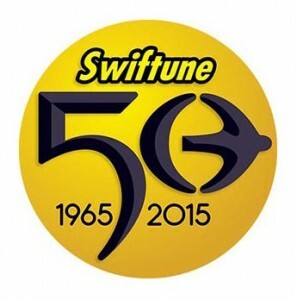 This year Swiftune celebrate a fantastic 50 years at the top of Mini motorsport, and we look forward to sharing the upcoming celebrations we have planned with our customers and followers. Also coming up in 2015, as the racing calendar is confirmed Swiftune are set to feature in the 73rd Members Meeting in March with the 1275GT Longman Replica that finished 3rd last year and also with a newly restored 1275GT (Read More) and later on in the year Swiftune will return to the Goodwood revival in September, with further information to follow throughout 2015. Swiftune will also return to the masters and U2TC series’ throughout the year, in the UK and in Europe with more information on the specific races to follow.